This is another mouth-watering recipe by Chef Jacques Haeringer! The dried unripe berry of a tree grown in Jamaica and Indonesia, allspice has an aromatic flavor that blends cloves, cinnamon, and nutmeg, creating a unique flavor. Place the water, evaporated cane juice, vanilla bean, clove, allspice, and nutmeg in a small saucepan over high heat and bring to a boil. Reduce heat and simmer uncovered for 5 minutes. Remove from heat and allow to cool. If using vanilla extract, add it now. Wash and cap the strawberries. Drain well and place in a small bowl. Mix the sweet wine into the syrup, taste and adjust seasonings, and strain over the strawberries. 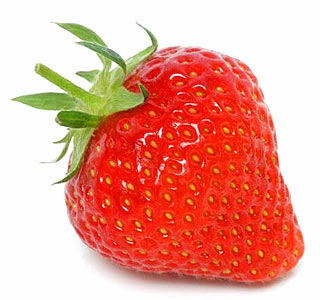 Allow the strawberries to marinate 1 hour in the refrigerator before serving. Garnish with mint leaves before serving. Serves 2. Chef Jacques is one of America’s most respected and innovative culinary personalities. Continuing in his father’s footsteps, Jacques loves to create and serve contemporary French fare at his restaurant, L’Auberge Chez François, in Great Falls, Virginia. His menus feature reinterpreted Alsatian and French cuisine for American palates. When he isn’t in the kitchen, he can be found teaching his popular gourmet cooking classes. Jacques is often asked to author magazine articles, cook up recipes at culinary events, and to be a guest on television and radio shows across the country. Jacques is the author of Two for Tonight, a collection of recipes that inspire romance through food and togetherness, and the Chez François Cookbook, the bible of classic Alsatian cuisine featuring some of the restaurant’s most popular recipes. He lives in Northern Virginia and is currently working on a new cookbook and television show. For more information on L’Auberge Chez François, Chef Jacques, and his books and cooking classes, visit him online at www.ChefJacques.com, Facebook @JacquesHaeringer, and Twitter @ChefJacquesH. Now mommy and daughter can make an eco-chic statement together with Just Jen, an adorable line of customizable clothing loved by celebs like Jada Pinkett-Smith, Molly Mesnick, Bethenny Frankel and Sylvester Stallone! For your little cupcake, you can choose a super-soft bamboo tee, adorned with Swarovski sparkling crystal, rose and volcano rhinestones that glimmer and shine! Mommy can match with a Cupcake T-Shirt in organic cotton – such a sweet look to wear together while playing at the park or shopping together! 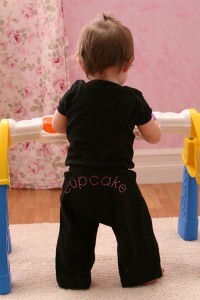 In addition to their personalized and customizable t-shirts, mom & her little lady can choose a pair of stretchy, roomy and uber-soft 100% cotton sweat pants, glittering with the words “cupcake” across the bottom! This matching top and bottom set is sure to be favorite of both mom and daughter’s! What makes Just Jen so unique is that any look and rhinestone adornment are possible – simply select the t-shirt style, including long-sleeve, short-sleeve, spaghetti tank, beater tank, raglan 3/4 sleeve, polo short sleeve, organic short-sleeve and even maternity for the ladies, next choose the shirt size and color, and last, decide which crystal rhinestones will complete your custom creation. It is extremely simple and FUN to design your own unique tee, hoodie, sweat pant, apron or cap – or make something special to give as a gift! Just Jen also makes dazzling bridal clothing! Do you get a pit in your stomach when anyone mentions the oil spill in the Gulf? That’s eco-anxiety and it isn’t good for you or the planet. If I let myself, I would ball up in a fetal position just thinking about those sea turtles on fire as BP tries to burn off the oil. I am angry at BP for their carelessness, angry at myself for our dependence on oil, worried about the sea life, concerned for the livelihoods of the gulf residents and frustrated with how to change the situation. What is a girl to do with these toxic emotions? As the author of a book on how to turn eco-anxiety into constructive energy, I can share with you what I am doing to feel better to keep my own anxiety from increasing as oil gushes, glaciers melt and plastic soups swirl. 1. Breathe – take a BIG deep breath, now exhale! Breathing it turns out, is super important to help calm your nervous system and to relieve anxiety. Click here for breathing techniques to help you relax. 2. Acknowledge that you can’t do everything. Affirm that you can do something. You know it is true, but remind yourself, seriously, that you can’t do everything, but you can do some things, and that’s good enough. Acknowledge! Yet affirm that you can do something. Positive affirmations and visualizations are valuable tools to help create a better reality. My friend Sandy at PeacefulDaily shared with me this amazing affirmation from world renowned Japanese Scientist Dr. Emoto and I am trying to say it daily to create positive change. Click here for more feel good affirmations. 3. Write down all (or just some) of the things that make you feel eco-anxious or guilty with regard to the oil spill. Click here to write on the wall of guilt. 4. Act – pick one thing to do that will help the environment that you aren’t already doing and start doing that one thing this week. Doing one thing well is much better then doing eight things poorly. Did you know that when you stop buying plastics you help stop our reliance on oil? Check out this list from GOOD, which contains a list of things you didn’t know contained oil, or this list by the Daily Green, titled “7 Ways to Help with the Oil Spill.” Finally, click here for ideas on actions you can take to help ease other kinds of eco-anxiety. 5. Praise – make a mental note to say something positive to yourself, your family, your friends, your community, your company or your country whenever a step is taken in the right direction. 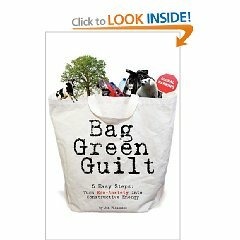 For more inspiration check out the book, Bag Green Guilt, Five Easy Steps: Turn Eco-Anxiety Into Constructive Energy, which is available at Amazon.com. 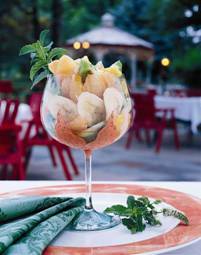 A simply delightful summer salad from Chef Jacques Haeringer! Ginger is credited with aiding in digestion, improving circulation, and even protecting against motion sickness. This salad also makes a great dessert! Using a sharp knife, cut away the outer rind and white membrane of both the oranges and grapefruits. Section the citrus by cutting along the longitudinal membranes. Peel and slice the banana into 1/4 inch rounds. Place the prepared fruit in a bowl. Add the ginger and sweetener. Allow to marinate in the refrigerator for at least 1/2 hour before serving. Garnish with mint leaves. 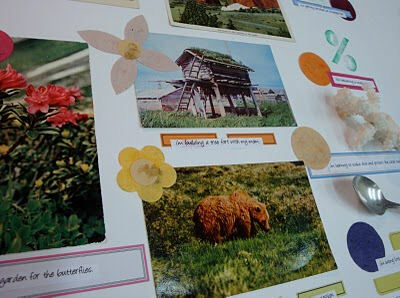 Making a vision board with your child as they head back to school? 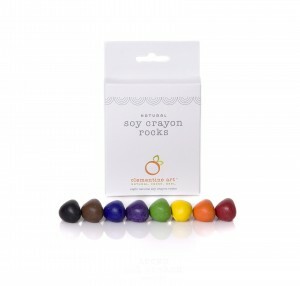 You will want to pick up some non-toxic natural markers from Clementine Art to help color and create the project! Clementine Art Natural Markers contain absolutely no harsh chemicals, additives or dyes and come in 6 bright, bold colors – perfect for drawing or writing. With all ingredients listed right on the box – there is no mystery as to what is inside the products! Moms will love that the paints, crayons, & other art supplies that typically end up in their child’s hair, on tiny hands and clothes are wholesome, clean, environmentally-friendly and safe. Clementine Art Natural Markers, Natural Paint, Natural Modeling Dough, Natural Crayons, Natural Glue and Natural Crayon Rocks can be found at retail locations nationwide, such as Whole Foods or Starbucks and online at www.clementineart.com. Gift sets are also available for the budding eco-artist! “Mom” at Tiny Green Mom is loving these link picks! Catch the Sun with Crayons on Clementine Art’s blog. 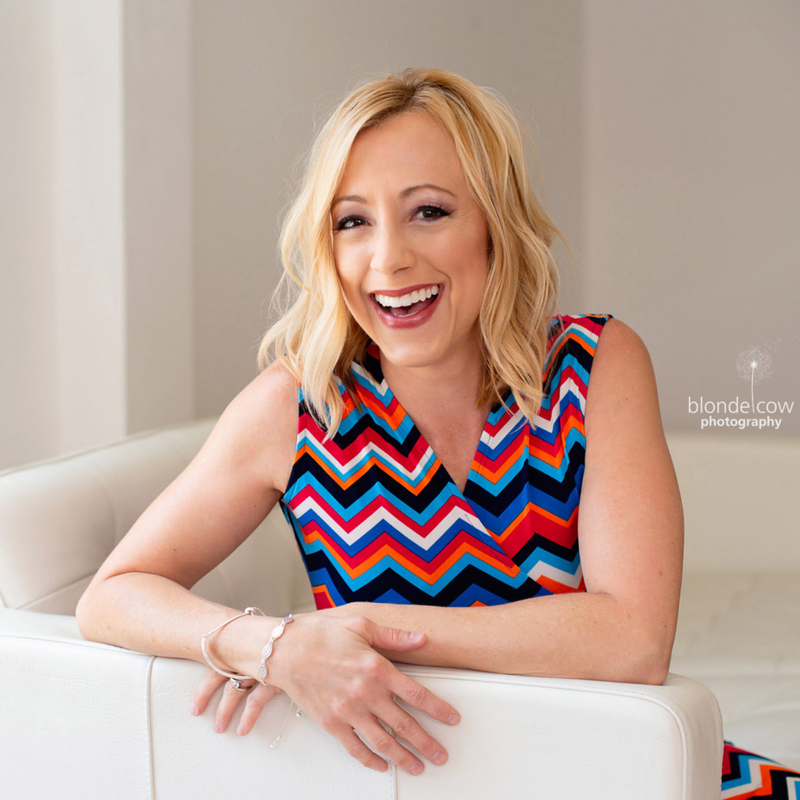 Raise Your Kids Right: What to Say Instead of Praising on Blogher. Bean Appetit Cookbook for Kids on Petite Planet. 10 Ways to Reduce Cancer Risks on Environmental Booty. The start of a new school year can set the tone for how that year will turn out. The concept of a vision board (also known as a goal board, goal map, or treasure map) has been around for generations, but it’s gained a renewed interest and popularity as of late. 1. The first step is to create a list of intentions with your child. What are their hopes and dreams for the upcoming school year? 2. Next, collect visual images to go with the list of intentions. 3. To accompany the images, add decorative handmade paper scraps, pretty stickers, and attach with Clementine Natural glue. 4. Decorate the vision board using Clementine Art Natural Paint, Markers and Soy Crayons and Crayon Rocks to add shading, doodling and drawing and your child’s personal touches and creative expressions. 5. Let the board dry overnight, then hang in a place where your child can view everyday, reinforcing their intentions for the year! For more ideas and art projects to create with your children, check out Clementine Art’s blog! A kid favorite – Annie’s Homegrown, has teamed up with Kids Konserve to offer you a FREE reusable and waste-free lunch sack with the purchase of any two packages of Annie’s Homegrown! This comes just in time as the kids head back-to-school! To learn more, visit their website. 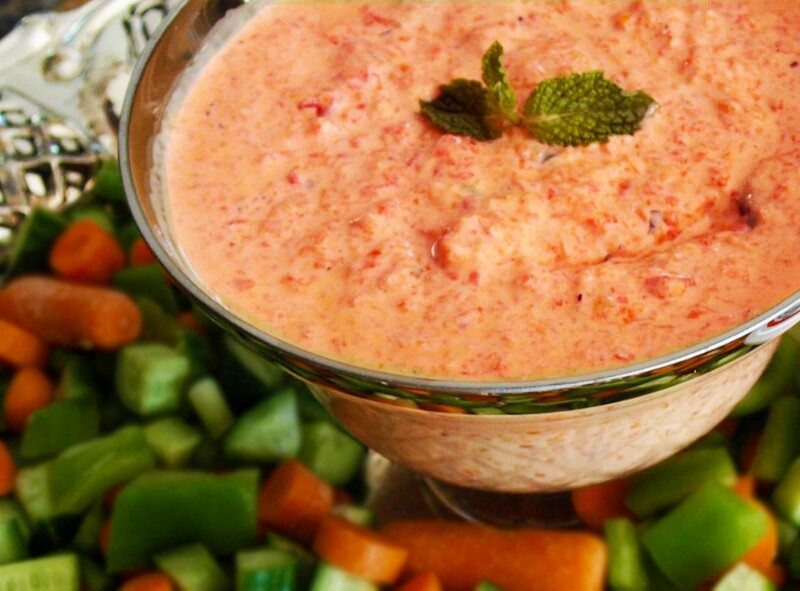 For a healthy, gluten-free recipe, check out this creamy Roasted Red Pepper Dip that features Voskos Greek Yogurt. Makes a great alternative to calorie-laden ranch dips! Combine garlic, peppers and pepper juice in a food processor and blend until smooth. Blend in yogurt and cumin. Transfer to a bowl and add tomato, and onions. Season with salt and pepper. Cover and refrigerate at least 4 hours. Serve with cut vegetables. In addition, moms can match their fairy princess, too! 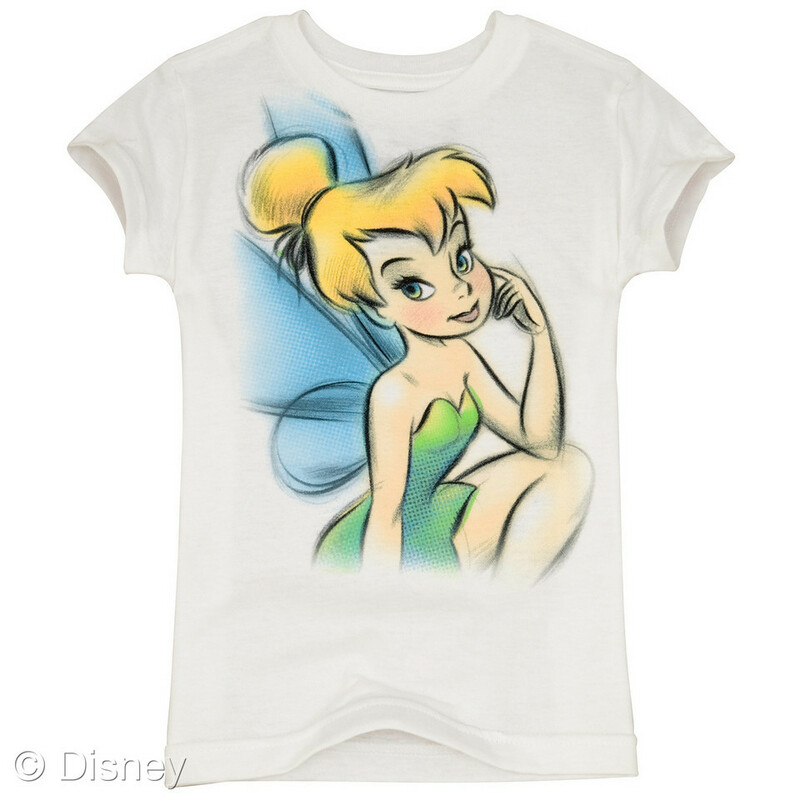 The Organic Sketch Tinker Bell Tee for Women is also available – perfect for those days when your little one is open to dressing like mommy. 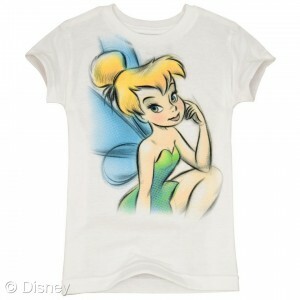 The tee comes in sizes XS – 4XL, and can be found online as well as at Disney Stores nationwide. $16.50 – $18.50, or 2 for $24.